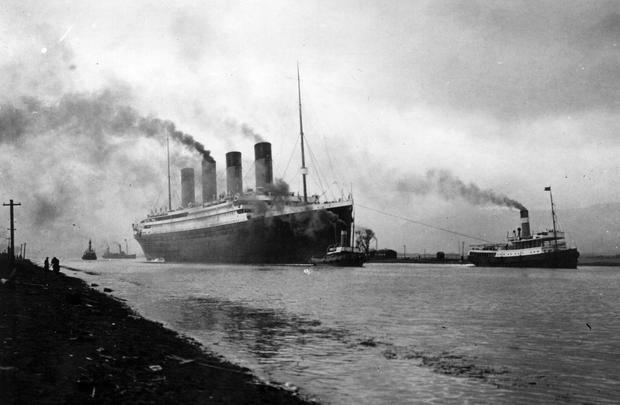 It has been described as the Titanic's last mystery, and involves one of the most tragic of all the tales connected to the sinking. Two-year-old Loraine Allison was travelling on the liner with her family when it went down. She was reported to have died with her parents, but no body was ever found. In the years that followed, though, a woman called Helen Kramer came forward claiming to be the child. She mounted a long campaign to be accepted by the wealthy Allison family, in the face of their strong opposition. Kramer died in 1992, but her claim has been sustained by her descendants in an increasingly bitter dispute which has seen restraining orders taken out, accusations of harassment made, and even security patrols set up to stop a family burial plot being interfered with. The group arranged for DNA testing of both the descendants of Kramer and Loraine Allison's family. They revealed no genetic link. The ruling meant Loraine kept the unhappy status of being the only child from first or second class to die in the sinking in 1912. She was travelling with her parents, Hudson and Bess, and seven-month-old brother, Trevor. Her father was a Canadian entrepreneur and the family travelled with an entourage of servants. When the ship struck the iceberg, Trevor was taken to a lifeboat by a maid, Alice Cleaver. Only Hudson's body was found. It was not until 1940 that Helen Kramer, styling herself Loraine Kramer, claimed to be the missing child. She appeared on a radio show and said she had been saved at the last moment when Hudson placed her in a lifeboat with a man whom she had always thought was her father. This "Mr Hyde" raised her as his own in England, where she said she attended boarding school, before moving to the US. She said Mr Hyde told her the truth shortly before his death. Kramer said he also disclosed his real identity: Thomas Andrews, who was Titanic's builder and was thought to have died on board. Despite the apparently farfetched claims, some distant relations of the Allisons apparently believed her. However, immediate family members did not accept her, and when she died it seemed the mystery rested there. Then, on the centenary of the sinking in 2012, Kramer's grand-daughter, Debrina Woods, from Florida, restated the claim on a series of online forums. She tried to contact the Allison family in Canada, prompting the intervention of their lawyers to ask her to cease. A restraining order was taken out to stop Ms Woods scattering her grandmother's ashes over the Allison family plot in Chesterville, Ontario, with extra security measures put in place when she visited the area. If her claim was established, she would be eligible to inherit much of the family wealth. The debate led to the founding of the identification project by Tracy Oost, a forensic scientist at Laurentian University, Ontario, and Titanic expert. She asked both sides to take part in the DNA screening. Sally Kirkelie, the great-niece of Bess Allison, agreed to take part, and although Mrs Woods declined, her half-sister, Deanne Jennings accepted. David Allison, the grandson of Hudson's brother Percy Allison, said: "I would like to thank Deanne Jennings and Sally Kirkelie for offering their DNA to stop this harassment. This was a courageous, selfless act, and I will remain forever indebted for their act of kindness." Professor Oost said: "It is good to have a resolution here, but we mustn't forget that this is all about one of the more tragic tales to come from the Titanic. The only mystery that remains is: who was Helen Kramer?"